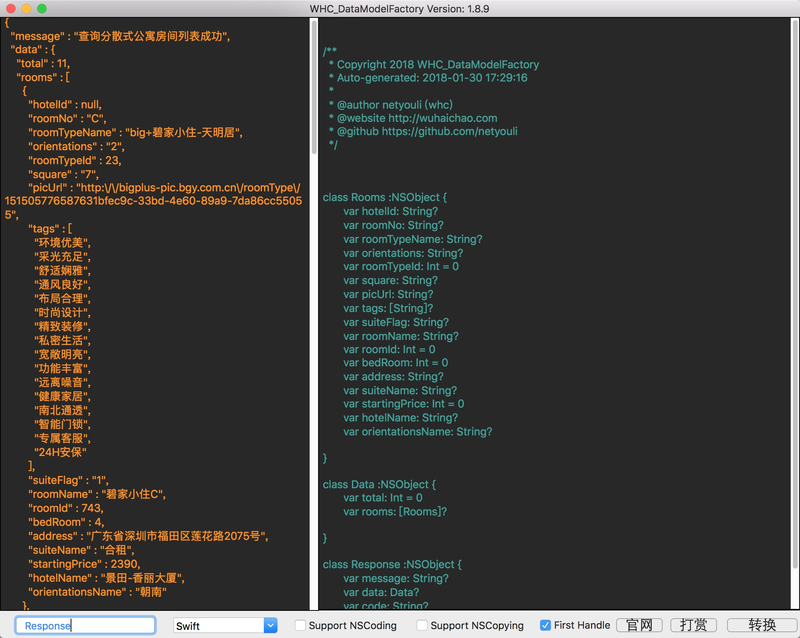 GitHub - netyouli/WHC_DataModelFactory: Mac上iOS开发辅助工具，快速把json/xml数据转换生成对应模型类属性，省去麻烦手动创建，提高开发效率。Mac iOS development aid, quickly put the json/XML data transformation generates the corresponding model class attribute, save trouble created manually, improve the development efficiency. 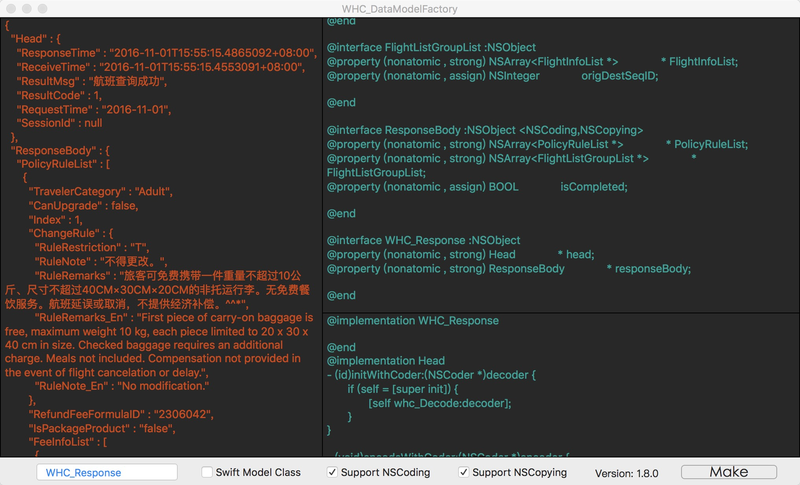 Want to be notified of new releases in netyouli/WHC_DataModelFactory? All source code is licensed under the MIT License.